Parade will include Players, Coaches, Administrators, Invited Guests, Tiger Band, Cheerleaders, Rally Cats, Mascots and many more! 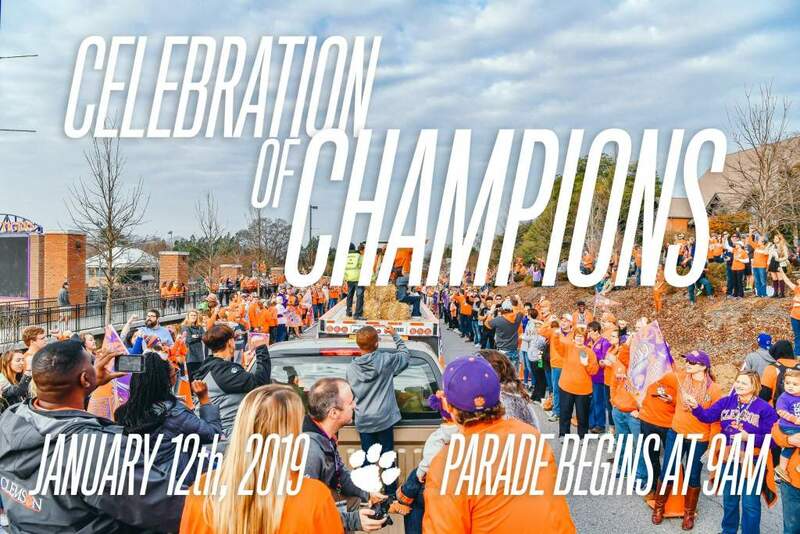 The celebration will conclude prior to noon so fans can attend the Clemson vs. Virginia Basketball game. The parade and stadium celebration are free admission, no ticket required. Tickets for the basketball game are available for purchase here. The ongoing utility work on Hwy 93 will close the road from College Drive to Williamson Road. Only one westbound lane is available in this stretch (only after the conclusion of the parade). No eastbound traffic will be allowed beyond Williamson Road. 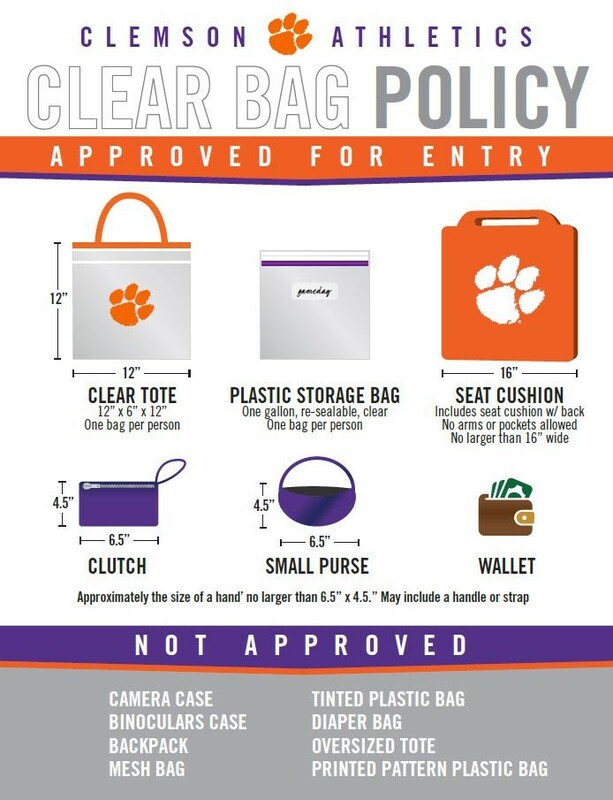 Handicap Accessible Parking is available with a state issued placard in the North Lot (under the north stands of Memorial Stadium). Enter off Hwy 93 onto Centennial Blvd to the North lot. Accessible parking will also be allowed in Lot 5 off Perimeter Road. Grass football parking lots (Lot 1, Lot 2) are intramural fields and will not be available. 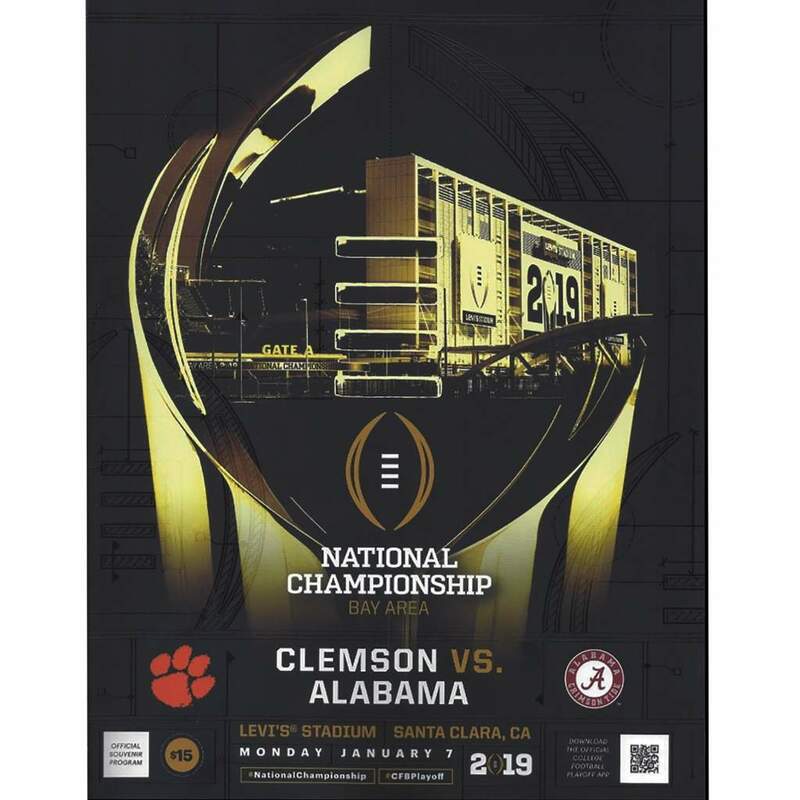 Pick up your Authentic College Football Playoff 2019 National Championship Game Official Program here!